Appleton Brand Vintage Apple Crate Label "irregular container"
William J Kozersky, Philatelist > CRATE LABELS > Fruit > Apples > Appleton Brand Vintage Apple Crate Label "irregular container"
Appleton Apple Crate Label. Original crate label from Borcovich & Dragovich, Watsonville, California. Vintagel mint label. Image of orchard and woman smelling rose. "Irregular container" appears on one apple. 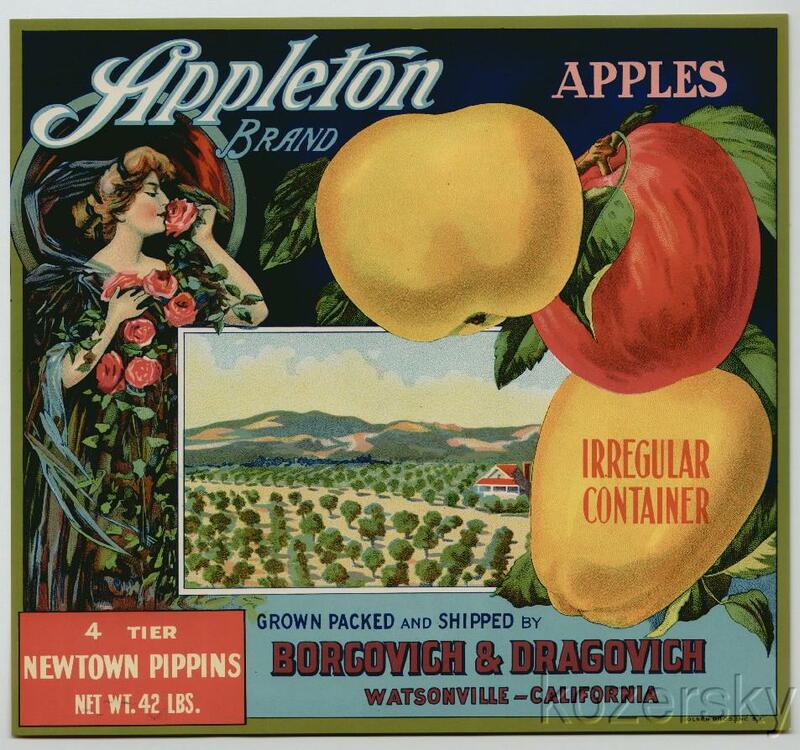 Appleton Brand Vintage Apple Crate label. Original mint label from 1910 to 1920s measures 9.50x10.25 inches. Image of orchard and woman smelling rose. Irregular container" appears on one apple. Borcovich & Dragovich, Watsonville, California.